Rooting is a guilty pleasure. The practice may start out innocently, but can void the phone's warranty. Some manufacturers try to prevent users from running apps with elevated privileges, arguing compromised security. Not that the assertion stops enthusiasts. Android is less restrictive than some platforms. Google actually allows apps that require root access on the Play app store. You're probably intrigued, as there are quite a few attractive choices available that only run with elevated privileges. 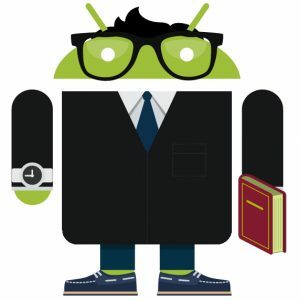 Let's approach some of the major advantages to rooting Android, that also highlight part of its charm in modding. 1. Increase performance. If you want to have a speedier smartphone or tablet that runs the popular open-source operating system then overclocking is the way to go. There are a number of apps already available on Google Play that allow users to tinker with the processor. SetCPU for Root Users is one, and it can help you squeeze extra performance by increasing the voltage and frequency of the processor among other things. At around $2 it's far cheaper than getting a new device, although like with any type of overclock there is a risk involved. Free alternatives such as Trickster MOD Kernel Settings are also available. 2. Protect your device. Smartphones and tablets are expensive and for some people hold valuable and private information. It's natural to want to keep them safe. avast! Mobile Security and Cerberus anti theft are two apps currently available on Google Play that work best with rooted device. Both have a number of features that require elevated privileges: avast! Mobile Security brings an extra layer of protection from a firewall that monitors network traffic, while Cerberus for protection against theft can't be uninstalled on rooted devices and can auto-enable GPS on versions of Android newer than 2.3.3 (like later versions of Gingerbread and Honeycomb or Jelly Bean). The last feature can make the difference between a lost and found device. 3. Remove bloatware. Wouldn't you like to remove unnecessary apps from your device? Carriers for instance include branded software that is often unremovable, which is where having elevated privileges comes in handy. Titanium Backup is an app available on Google Play that makes use of root in order to give users complete access to installed software. Using it all apps can be uninstalled, which is only possible because it runs with elevated privileges. Want to remove carrier bloatware? That's how you can do it. 4. Make backups. Fiddling with the device may not always produce the best results. A backup can save users the headache of starting from scratch after something went wrong. Using Titanium Backup, Android users can take advantage of its main feature, which if the name is of any indication is... backing up apps and settings. It requires root because the folder in which apps are installed is only accessible with elevated privileges. It also comes in handy after installing custom ROMs to restore apps without downloading them yet again from the app store. 5. Configure restricted settings. Does the display have a yellow tint? Then using an app such as Trickster MOD the gamma offset and color multiplier can be changed to suit your specific needs. Do you want to enable fast charge in order to speed up the process of charging the device via USB? It can do that too. File managers such as Total Commander when paired with elevated privileges allow users to have access to various system files, allowing to modify the hosts file for instance. The real upside in having a rooted Android device is that it is no longer bound by the confines established by the manufacturer. If there is a functionality that does not work as you'd like to, it can be adjusted. Rooting is freedom for Android devices.